What is this? Is there a ripple in the timeline, or did The Flash just messed-up the time stream yet again? Thankfully it is none of those. We are getting a little bit tired from all of the Marvel Comics-centric posts, so we decided to skip our Spotted! post for Logan, and instead hop over to DC's upcoming wonderful super heroine movie. With a new trailer recently released, we have all the more reason to make a post about this one. Join Dateline Movies as we potentially spoil about half of the movie for you, in our latest Spotted! 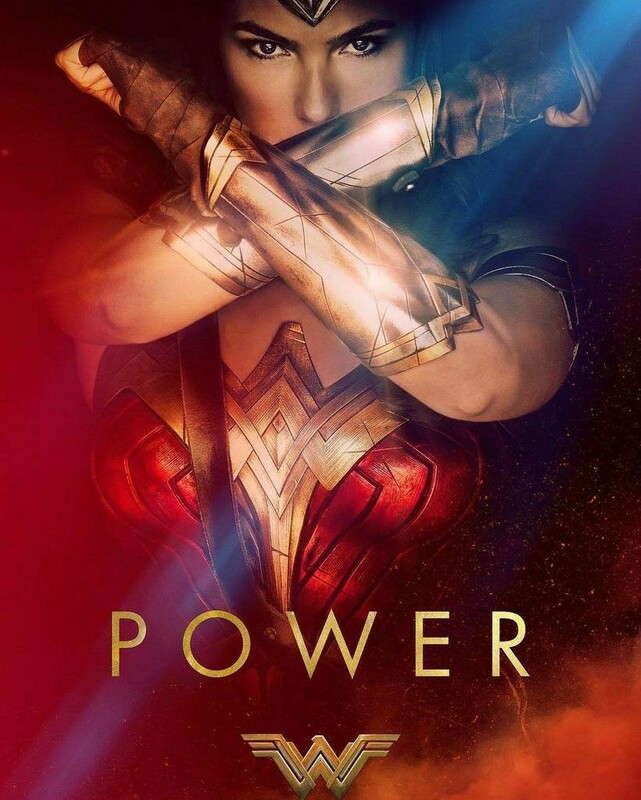 post of Wonder Woman! It is now the dawn of the First World War, and Steve Trevor, played by Pine (Star Trek Beyond), accompanied by his band of soldiers of peace, played by Taghmaoui, and Bremner (Trainspotting), are assigned to stop the revolution, before the war decimates the world! 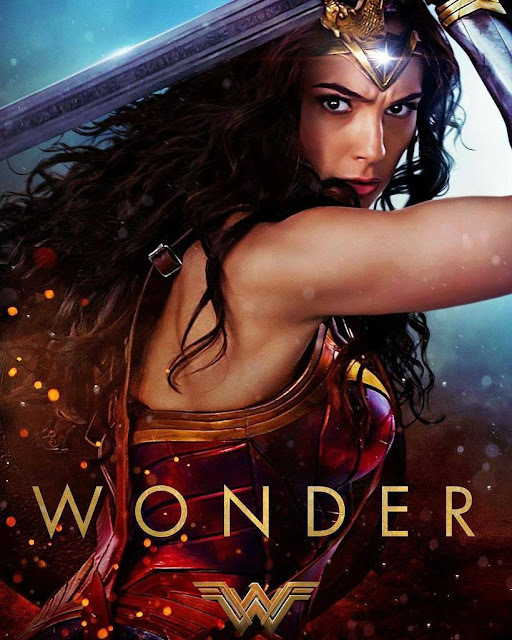 One day, in the middle of a battle, Steve and his friends crash land in the secluded island of Themyscira, a place inhabited exclusively by powerful women. There, they find an unlikely alliance in the form of Diana Prince, also known as Wonder Woman, played by Gadot (Batman v. Superman: Dawn of Justice), the daughter of Queen Hippolyta, played by Nielsen (Gladiator), niece of General Antiope, played by Wright (Forrest Gump), and a colleague of Menalippe, played by Kongsli (The Orheim Company). When the fate of the world is threatened by a deadly new weapon, created by a sinister army general, played by Huston (X-Men Origins: Wolverine), and an enigmatic masked assailant, played by Anaya (Both Taghmaoui and Anaya appeared in The Infiltrator), Diana must join forces with Steve and his allies, and save the world from total annhilation, with some probable help, or some possible doom, from an unnamed figure, played by Thewlis (Harry Potter and The Prisoner of Azkaban)! In addition, Diana encounters what it is like to live in the new world around her when she gets a job as an assistant of Steve, alongside Etta Candy, played by Davis (Shaun of the Dead). 1. Meet Ares, The God of War! : In the two trailers, we see Danny Huston play as an unnamed army general, obviously working for the enemy factions, and in one shot of the second teaser, he is seen experimenting with a new deadly chemical agent. Wonder Woman's stories are deeply rooted in Greek mythology, and the film is set during the First World War. From these two hints, we can only pinpoint the only possible supervillain that fits the profile, and that is none other than Ares, the Greek God of War. In the comics, Ares is a recurring force of antagonism for Wonder Woman, and he does evil things for the sake of war. In the New 52 reboot, wherein all of the characters are retooled, complete with updated origin stories and costumes, and used as a basis for most DC Extended Universe flicks, Ares is a timid elderly man, who is a mentor to Wonder Woman. We might say that he could just be an average evil general with sinister ends, but if you look closely in some shots, it appears that he can put-up a fight with Wonder Woman, and judging by the scenes that featured soldiers attacking Themyscira, Ares might have lead them there. As such, it is most likely that Danny Huston is set to play Ares. 2. Pretty Doctor Poison (Just as Toxic as Love): Unlike Danny Huston's probable role as Ares, Elena Anaya's role was confirmed to be Doctor Poison, as said in the aforementioned character's Wikipedia page. That is until someone realized that they might have said way too much, and decided to delete my one and only piece of evidence. While we are out of clues, except for other forms of speculation, most of the clues still point to this nearly obscure antagonist, with one of those hints include the use of a chemical weapon as the story's main plot device. In the comics, Doctor Poison is the alter-ego of Princess Maru, the leader of a Nazi spy that was active during the Second World War, whose ultimate master plan involves the use of "Reverso", a chemical that forces people to do the exact opposite of what they are told to do. Oh, did we mention that she pretended to be a male throughout all of her appearances? It is obvious that they would not be completely and faithfully translating this character to the big screen, so instead, we might see a World War One spy slash chemist iteration of the character, who is permanently scarred by one of her experiments. Another question that ponders the thought of many fans out there is, "Who are Wonder Woman and Steve Trevor's other allies? ", or "What is their team name?" You might be expecting to find some interesting answers here, were you not? Unfortunately, neither me or Dad here knows the exact answer, but we do have a few interesting guesses up our sleeves. Heads-up for some moments of confusion, because we are about to scrape the bottom of DC Comics' very ancient barrel here. The Easy Company was a World War Two fighting unit lead by Sergeant Frank Rock. While this group has more ties with the Second World War, like the other guesses here, it is possible that they will be reimagined to fit-in the First World War narrative. In the near right of the image of Wonder Woman and Steve Trevor's currently unnamed team, we can see a Native-American character, who could likely be "Little Sure Shot" of the Easy Company. 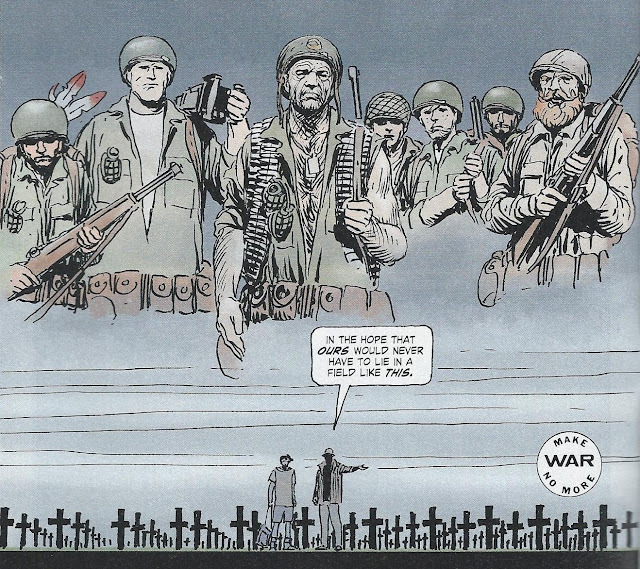 This is a little bit of a stretch, as much of the roster of the Easy Company are Americans, and Little Sure Shot in the comics is, well, shorter compared to the one that we see in the image, although their comicbook counterparts might be altered slightly. 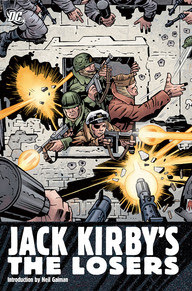 A group of failed soldiers, each experiencing various traumatic experiences such as losing limbs and friends, all brought upon by the rise of the Second World War. The Losers banded together to save the world from various sinister forces. We might say that this is the likeliest, as the Native-American character here could be Johnny Cloud, a Navajo fighter pilot, and each of the members' personalities can match the actors' profiles, although slightly. 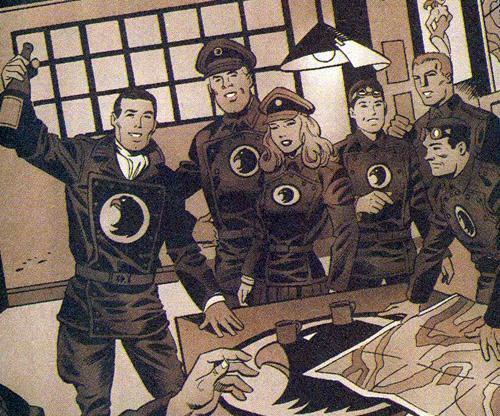 Our last guess would have to be the Blackhawk Squadron, a group of fighter pilots during the Second World War, and among all of the war-based comicbooks at the time, these heroes of the air were the most popular. Also, we could have added the Haunted Tank here, wherein we would get to see a tank protected by a ghost of a Confederate general, but seriously, let us not get in way over our heads. Next, we will be discussing the possibility of the presence of a Mother Box in the flick, which is not only the main plot device for the upcoming Justice League flick, but is also one of its kind. In the comics, Mother Boxes are certain otherworldly, multipurpose artifacts of mass destruction created by the New Gods, with one of them being the sinister Darkseid. As it is teased in a deleted scene from Batman v. Superman: Dawn of Justice, it would appear that Darkseid, and his lackey Steppenwolf, to be played by Ciarán Hinds (Game of Thrones), and as revealed in the official synopsis of Justice League, are seeking the three Mother Boxes located on Earth, and one of them is located in Themyscira. While it is possible that the Mother Box could simply be teased in just a single scene, we believe that the chemical weapon might have been a product of the Mother Box, which in this case, as the film revolves around Greek mythology, is the Pandora's Box of this universe. If this is true, then we have found the reason why the soldiers attacked Themyscira in the first place. The enemy forces might have been manipulated by Ares to launch a full-scale attack on the island in order to obtain the Mother Box, and with the Mother Box placed in the wrong hands, Wonder Woman is forced to join in the action. 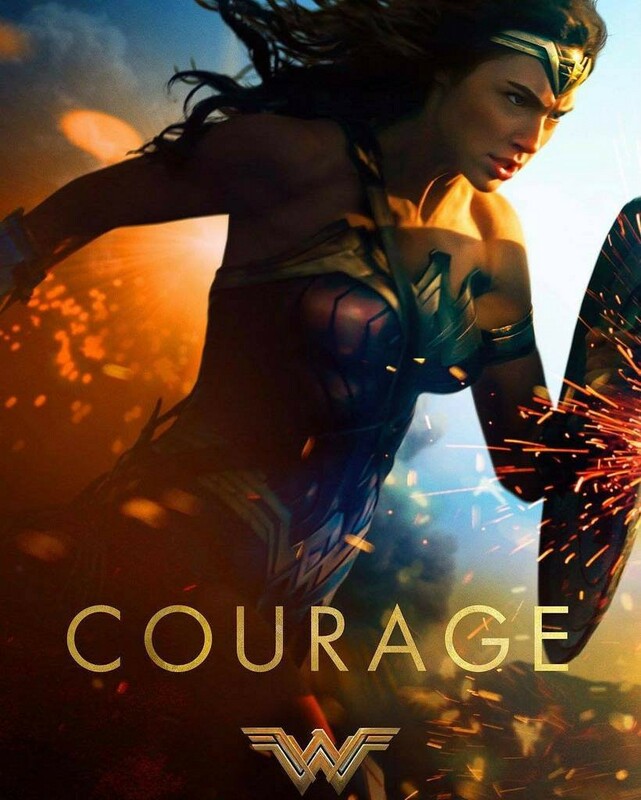 Also, given that the movie Wonder Woman comes before the big, highly anticipated crossover, it would be a wise choice for the studio to tease the MacGuffin of the succeeding flick. 5. Hero or Villain? Friend or Foe? Ally or Enemy? 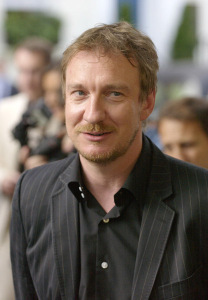 For our last hidden surprise, we have David Thewlis' mystery character to tackle next. Unfortunately, this section would be extremely lengthy. Seriously, I had to delete this entire segment and transfer it in another post just because of its unexpected length. Not to worry readers, we have already said that we are cooking-up a post just to tackle this conundrum, so stay tuned! Well, I guess this is where we conclude our latest Spotted! post. Things are indeed starting to get "Wonderful". Do you know what I am saying? Before we part ways, here is the complete, unaired pilot episode of the originally planned Wonder Woman television program, starring Adrianne Palicki as the titular heroine. Be wary though, as the campy nature of the episode is off the charts! Given that we have some access to some pretty obscure works such as this one, we might as well write some Inside posts about other canceled properties such as this one. Shall we start with the unaired Justice League of America pilot perhaps? Hey, it still counts as a movie given its length. Stay tuned for more Dateline Movies!